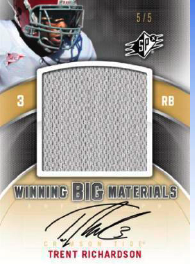 Upper Deck has provided us with a whole bunch of information about their upcoming Football releases. Here is our Sneak Peek and Preview. 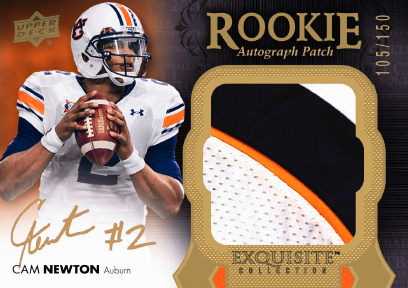 Always anticipated by collectors, 2011 Exquisite Football will come in 3 box cases. Each box will contain 6 cards with 5 autographs per box. All of the autographs will be on-card. Jerry Rice, Adrian Peterson, John Elway, Dan Marino, Barry Sanders, Aaron Rodgers, Steve Young, Troy Aikman, Cam Newton, A.J. Green, Andy Dalton, Julio Jones, DeMarco Murray and Jake Locker. Product highlights include 4 new cards, Signature Slots, Exquisite Twelve, Exquisite Masterpieces and Exquisite Dimensions. UD Black Rookie Cards and Exquisite Rookie Book Marks make a return. Here are actual scans of the Rookie Autograph Patch Cards before they were sent out to be signed. A release date for 2011 Exquisite Football has not been set but we will share that information as soon as it becomes available. 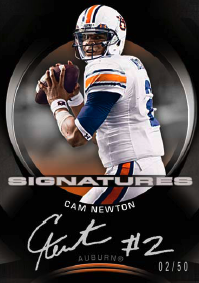 2012 Upper Deck Football will come in 12 box cases. Each box will contain 20 packs with 6 cards per pack and 3 autographs per box. The base set will include 197 Rookies and 50 Retired players. Each pack will contain 2 Star Rookies. Each box will contain 2 Ultimate Collection Rookies numbered to 450 and 4 - 1993 SP Football cards. 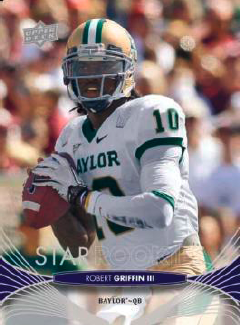 Each case will contain 2 rare parallels numbered to 10 or less, 4 College Mascot Patches from the 60 card set with different levels of rarity and 1 Autograph from either Robert Griffin III, Justin Blackmon or Trent Richardson. 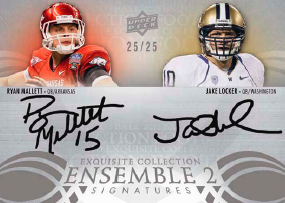 In addition, Rookie Lettermen Signatures and Ultimate Collection Rookie Sigs are signed on-card. Star Rookies Stripes are back with a twist. There will be up to 200 different 1-of-1 Star Rookie Stripes can be redeemed for 15 Autographed copies of the featured player! 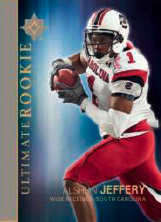 2012 Upper Deck Football is scheduled to be released on 4/24/12. This set will come in 12 box cases. Each box will contain 20 packs with 5 cards per pack and 3 autographs per box. All of the autographs will be on-card. Jerry Rice, John Elway, Dan Marino, Barry Sanders, Aaron Rodgers, Steve Young, Troy Aikman, Tony Dorsett, Drew Brees, Jim Kelly, Gale Sayers, Andy Dalton, Cam Newton, Julio Jones, A.J. Green, DeMarco Murray and Blaine Gabbert. 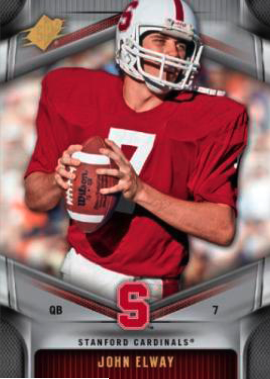 The scheduled release date for 2011 College Football Legends is 5/8/12. 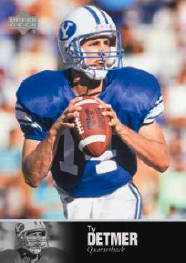 The return of the ever popular Shadow Box accompanies the release of 2012 SPx Football. This year there will be an added twist with Shadow Slots. 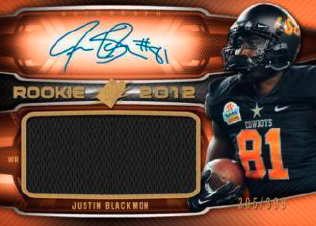 SPx Shadow Slots are interchangeable acetate slots that allow you to create your own Shadow Box card. 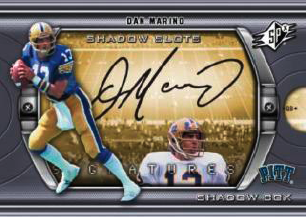 The acetate inserts will slide in and out of the Shadow Box card and will come in different levels of rarity. 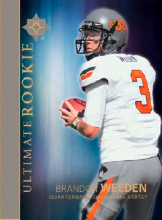 SPx Finite Rookies will come in 3 tiers of rarity numbered to 499 or less with Radiance and 1-of-1 Spectrum parallels. 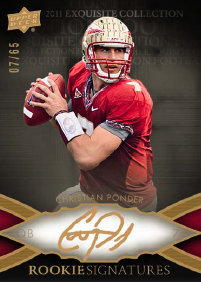 2012 SPx Football will come in 14 box cases. Each box will contain 18 packs with 4 cards per pack. Each box contains 4 Autographs or Memorabilia cards with at least 1 SPx Rookie Auto Jersey, at least 1 single, dual, triple, quad, or patch Memorabilia card and 2 SPx Finite Rookies. Each case contains 1 SPx Shadow Box card. 2012 SPx Football is scheduled to be released on 6/12/12. This set was just announced today so there aren’t any images as of yet. It will focus on the 45 USA Football team members. Endowed by the NFL and NFLPA in 2002, USA Football is the official youth football development partner of the NFL, its 32 teams and the NFL Players Association and manages U.S. national teams for international competition conducted by the International Federation of American Football (IFAF), composed of 62 countries spanning six continents. These are the future college and professional football players who are predicted to have an impact on the game. 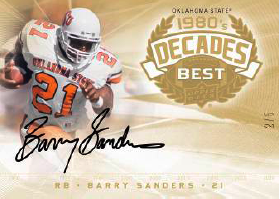 2011 USA Football will come as complete sets with 20 sets per case. There are 48 cards per set box, which includes a complete 45 base card team set, 1 Autograph and 2 Game Used Memorabilia Cards. There is no official release date for these cards but expect them to become availbale sometime in May. Here are the 45 USA team members that will be featured on these cards. Jabriel Washington, Ty Montgomery, George Atkinson, Aaron Green, Hakeem Flowers, Tacoi Sumler, Kevin Hogan, Conner Floyd, Manoa Pikula, Josh Turner, Tyler Wright, Ronald Tanner, Savon Huggins, Joe Bergeron, Kenny Williams, Devon Cajuste, Josh Atkinson, Graham Stewart, Nick Lifka, Anthony Rabasa, Michael Bennett. Jarrett Hudson, Chris Merlene, Kiaro Holts, Hunter Goodwin, Jamelle Naff, Jaxon Shipley, Jack Konopka, Kris Harley, Avery Walls, Cody Keith, Matt Freeman, Stephon Tuitt, Kiehl Frazier, Kellen Jones, Jesse Hayes, Matt Hegarty, Taniela Tupou, Anthony Sarao, Ryan Simmons, Wayne Lyons, Kevin McReynolds, Bobby Thompson, Matt Wofford, Will Monday. 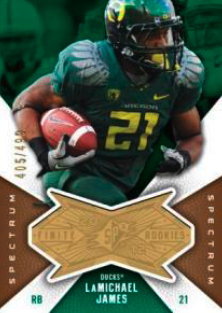 And that does it for our Upper Deck Football Sneak Peek and Preview. Expect information on other sports such as Hockey and golf plus an extended look at Goodwin Champions in the next couple of days.